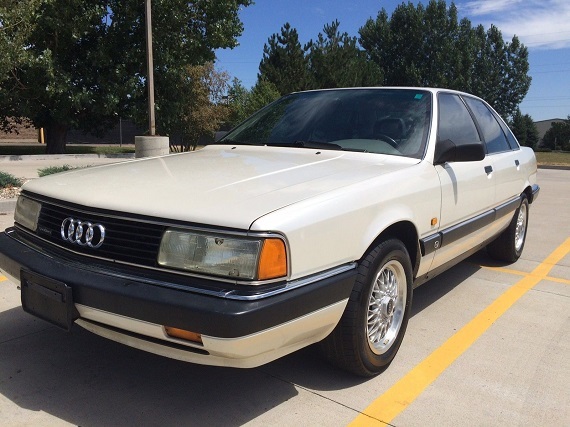 An original stock- non modified, Carfax verified 106,134 mile 1991 Audi 200 20 Valve Turbo Quattro with a 5 speed manual transmission with locking differential all in the Audi special three stage pearl white paint and medium gray leather interior. 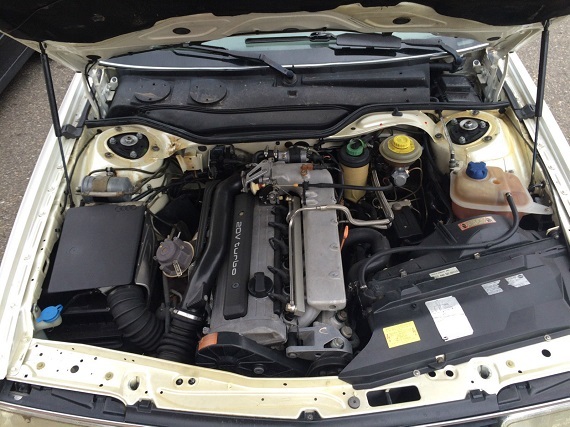 This vehicle is in exceptional condition with all the options. 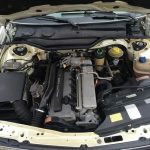 Mint condition in and out, with very minor wear and tear, especially for a 1991 vehicle. 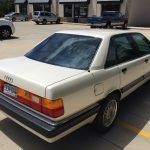 I found and purchased this European wonder from an Audi enthusiast who garaged, washed, polished, and meticulously maintained and loved this vehicle its whole life. We are the second owners, and purchased from the original owner. I was thinking of building this car into a rally/pikes peak/scca car, but it would be a shame to tear it up, and also decided to go a slightly different route-turbo Quattro coupe ( URQ ). 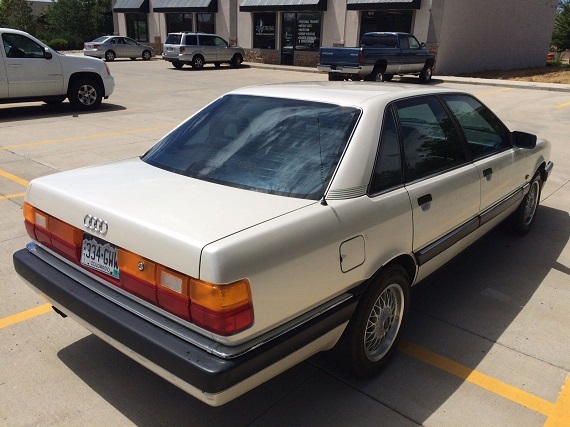 If you are reading this far, you know what this car is, often claimed as one of Audi’s best of all time vehicles. 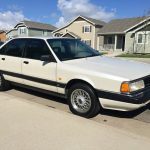 Maybe you are willing to turn this European wonder into a eats Corvette’s for lunch type-looks bone stock, but will take your money every time as a streetwise blistering fast 500+ whp sedan. This road car in its current form is a stabile, surprisingly quick, blast to drive especially at highway + speeds. Mechanically sound, always looked after by VW/Audi enthusiast mechanics. 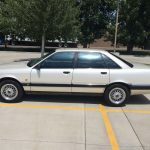 Few do remain in the condition and with the mileage of this car, though they’re out there. Other than some typical Bose amplifier issues and a lack of interior photos, what is presented looks quite good. 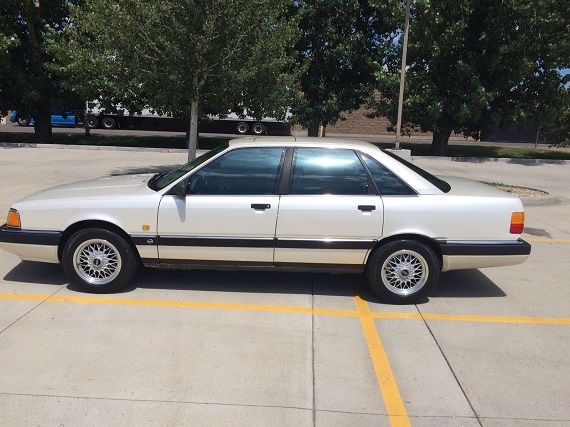 These 200s are pretty soft out of the box and have the notorious “UFO” floating rotor brakes that were replaced with more convention Girling G60 units on the spiritual successor, the S4 (the V8 adopted the G60s in 1992, as well). They can be finicky, but when properly functioning the braking power easily is the match of the 150 m.p.h. cruising speed of the 200 20V. 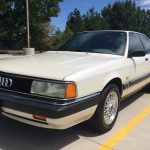 Outside of the Quattro, pricing on these legendary sedans is no where near their contemporaries; most would probably consider a $7,500 M5 to be a bargain in this condition and mileage, but it almost seems expensive for an Audi. 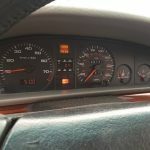 Assuming the car is mechanically sound and up to date, it should be worth more than $5,000 – but the big numbers really only seem to come for Avants. Still, even at nearly double the going rate of many other examples of the 200, this one seems like good value if you like being a bit different than the normal crowd. Tagged 200, 20V, 3B, Audi, BBS, C3, forged, inline-5, pearlescent white metallic, Quattro, RG, Turbo, Turbocharged. I own the twin to this car, bought a few months ago out of Connecticut after being featured on the site here in March. Mine has a few more miles but some nice modifications, and was bought for below the Buy-it-Now for this one. These are fantastic cars and the sound of the turbocharged inline-5 with a performance exhaust is intoxicating… I simply can’t keep my foot out of it for the pleasure of the turbo thrust and the sound. For significantly less that 1/2 the cost of a nice BMW E34 M5, it is very hard to go wrong here. Wish there were some pics of the leather. The speakers probably just need to be replaced by pulled units from a salvage yard: it’s a gamble but the odds work out well sometimes. They are dirt cheap. The amps are integrated. The speakers plug via a proprietary cable connection. Speakers from V8s also work. I am curious about the door handles. I would expect them to be body color on this car. @Early8Q – negative. 200s had black handles. It was the upscale V8 that they painted them body color on. The C pillar trim is different, too. @Brad, last I knew you could still employ Bose to rebuild them for you. It’s not cheap but supposedly works well. Awesome write up and niiiiiiccccceeeee car, warms my heart to see one this good still clawing at the pavement. The “autocheck” display showing the radio station on the instrument cluster is rare sight in one of these, mine would only do that during a harvest moon. The Bose system is not worth salvaging, it’s one of the major downfalls of this car. The rear speaker were recalled in mid 2000’s for starting total loss fires. It’s 1 OHM impedance system so its not compatible with anything else. You can solder new resistors in that don’t melt but there are diminishing returns. I ended up stripping the interior and running new speaker wire to the doors, then mounted a 4-channel class D amp under the rear seat controlled by a drug dealer quality alpine head unit. Allot of work but never had to touch it again, and Ipod control, which was a thing that mattered 2005. Back when I refurbished mine, I opened the speaker case and saw only a generic, cheap speaker plus the small amp., which is an exposed, palm-sized logic board that the Goonies made in their 1980s garage. If it’s not urban legend that the amps can be rebuilt (I think it’s more than soldering that’s needed but rather a replacement of the components on the logic board) then it is still surely cheaper just to buy salvage yard ones for $10 until you get lucky. The G60’s that came on the C4S4/S6 that manh replaced the UFO’s with were no great brakes either. The car really needs the Porsche BigRed’s or at least Boxster Black Calipers and larger rotors. Trouble is, the 15’s then don’t fit. (But the forged 16’s off an S4/early S6 do). 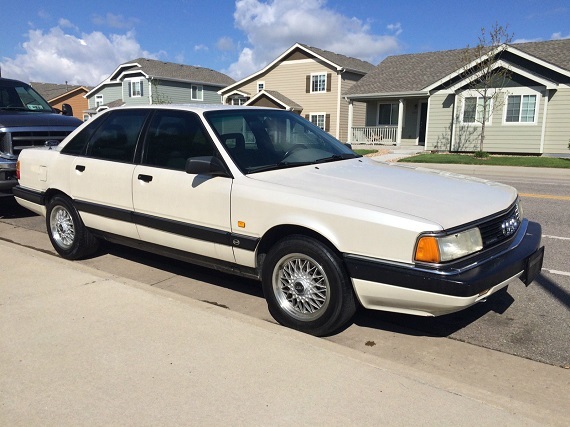 Either way, this is a nice find, someone is going to end up with a great car. I swapped the G60’s from an S6 on my 200 20v when I scrapped the UFO’s. 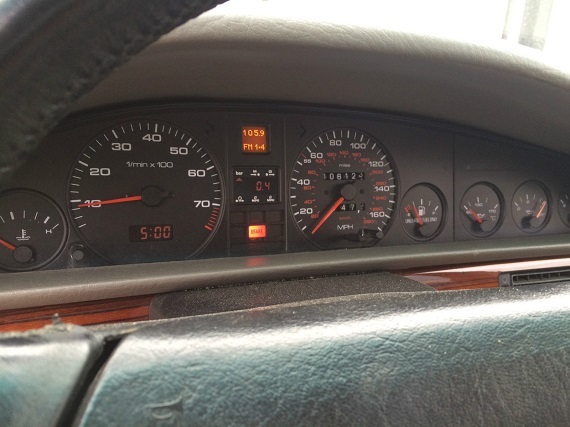 The G60’s were good enough for spirited driving. I have Boxster Blacks on my current UrS4, powerful but noisy, if I did it over I would use B5 S4 brakes, mostly because they are allot cheaper and plenty effective for street use. Agreed that the Bose is not worth saving… Budget for a replacement with modern equipment. Or go without and listen to one of the best sounding engines ever!